The trip to Moscow to play CSKA has been somewhat spoilt so far with news coming out suggesting that the pitch will not be playable, Pellegrini himself has made his thoughts known on the issue and his opinion is that it should be postponed. Obviously I am hoping that the pitch is playable and we can get the game out of the way, if it isn't ready then we have made the journey to Russia ahead of a league game against Chelsea for nothing. There are various sources reporting that the pitch is in a terrible condition, so it baffles me how it passed a UEFA inspection in the first place, typical incompetence on UEFA'S part again and it just so happens that an English side is involved in their bad decision, enough said. Right, to the game, CSKA are the current champions of Russia so they are clearly a decent team, if you were to ask me if I was at all worried about playing them though, the answer would be no! They just don't match up to us in the slightest, if you were to pick out any danger men in their team then you would look to the over rated Keisuke Honda and their star striker (in mediocre leagues) Seydou Doumbia who has just returned from injury. They have not won a league game since the 14th of September and have drawn 1 and lost 4 since then, we should paste these regardless of what condition the pitch is in. As far as we're concerned, we have been in good form of late and things are looking promising again, our performance against West Ham was somewhat blown up in the media as something really special, in reality it wasn't in terms of what we are capable of, we are just better than them and we shown it by strolling through the game, we have so much more to offer yet. I am really angry at the uncertainty surrounding the game tomorrow, the fact that we are probably going to have to play in poor conditions is not good enough, both CSKA and UEFA have made this the case and I am just hoping that the players will also feel incensed and take it out on them on the pitch. Vincent Kompany (thigh) has not travelled to Moscow, Martin Demichelis and Jack Rodwell have also stayed at home as they continue to build up their match fitness after returning from knee and hamstring injuries respectively. Seydou Doumbia returned from a hamstring injury for their last league game and is expected to be involved, Goalkeeper Igor Akinfeev (knee) and Alan Dzagoev (hamstring) are doubts, while Latvian midfielder Aleksandrs Cauna (toe) is likely to miss out. 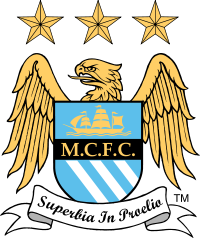 Possible Man City Line Up: Hart, Zabaleta, Garcia, Nastasic, Kolarov, Toure, Fernandinho, Nasri, Silva, Aguero, Negredo. Possible CSKA Moscow Line Up: Akinfeev, Nababkin, A.Berezutski, Ignashevich, Schennikov, Elm, Wernbloom, Tosic, Honda, Zuber, Doumbia. My Prediction: CSKA Moscow 0 - 4 Man City. Worth A bet: Toure scores the first goal in a 0 - 4 Man City win @ 155/1.